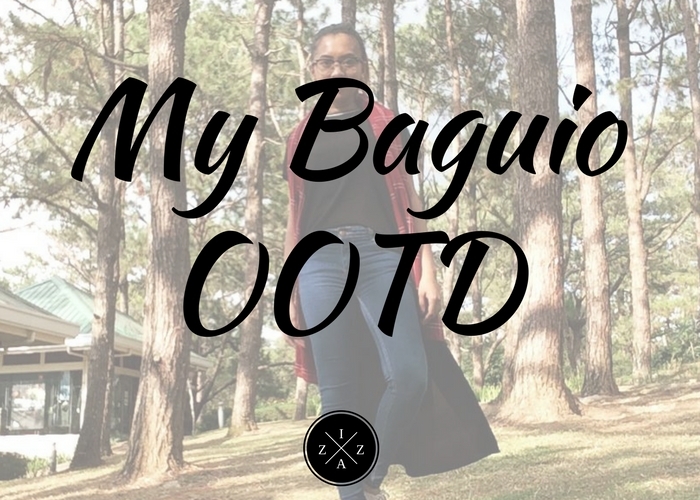 Today I'd like to share to you my #OOTDs during my stay in Baguio. I haven't done this kind of post for a long time and I miss sharing mystyle inspirations in this blog. Last March I had one of the most amazing time of my life in Baguio. I spent 4 Days and 3 Nights exploring the famous tourist spots the Summer Capital of the Philippines has to offer and I couldn't be anymore thankful for the opportunity. For my outfit going to Baguio I opted for a jeans and turtle combination. Mabilis ako lamigin so a turtle neck and basic jeans combination is perfect for me. I wore a running shoes to also combat the coldness in the bus and once we were in Baguio already. Almost all of the outfits I brought with me in Baguio were maxi skirts. I love the comfort and elegance that maxi skirts bring. This in particular hugs my body nicely showing off the right curves. I also love how flowy it is. This was my outfit when we went to Mt. Cloud Bookstore, dine at Hil Station and strolled Session Road. For Day 2 morning I went for a simple ensemble. My itinerary in the morning were Burnham Park, Lourdes Grotto and Old Diplomat Hotel. I know I will pespire a lot in the said locations so I wore the simplest OOTD I can. The vest I wore extremes Baguio, right? I bought it years ago but have not worn it even once. Never thought I can wear it someday and Baguio pa. Hope to wear this same vest someday when I go to Korea. In the afternoon I went to Camp John Hay, The Mansion and Botanical Garden. I wore something that I will feel a bit breezy to compliment the places I willtour. As much as I want to pair my top with shorts I just can't. The weather in Baguio was sooooo cold. This is my favorite outfit in my entire Baguio trip. It matches with the places I went on my third day in the city. I did strawberry picking at Strawberry Farm La Trinidad on the morning and at Ben Cab Museum in the afternoon. This is also the same outfit I wore during lunch at Cafe by the Ruins which fits the ambiance of the famous restaurant. For my outfit going back to Manila I chose a Hoodie Dress I got from Surplus. This is nice because I will need something very comfortable for the seven-hour ride back home. I wasn't able to take a photo of my outfit anymore since we were too busy preparing our baggage and buying last minute pasalubongs already. Please read My Baguio Travel Diary here or go over The Ultimate Guide to Baguio 4Days + 3Nights Adventure for more photos and stories.